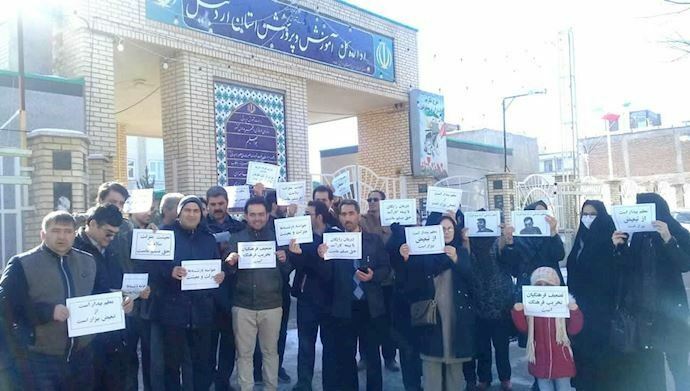 Iranian teachers kicked off 2019 with a continuation of the protests that began in late 2017. 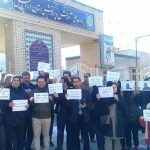 The brave educators have not given up their cause, despite threats from regime officials and the imprisonment of many of their labor representatives. During 2018, the teachers of Iran took part in several nationwide strikes and numerous protests, gaining widespread support. Maryam Rajavi, the President-elect of the Iranian opposition had called for supporting them and particularly for the release of those arrested by regime. The MEK and the Iranian opposition were among the vocal supporters of the teachers’ strikes. 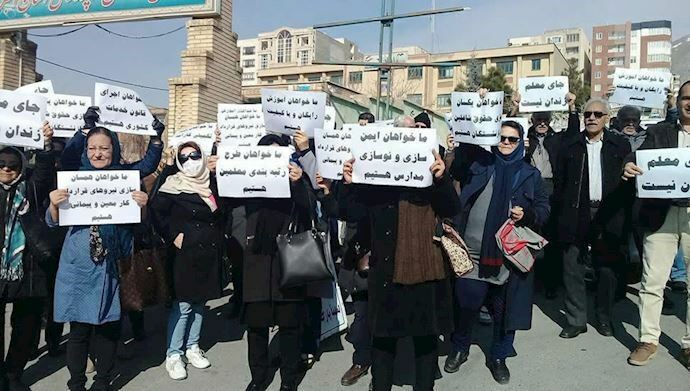 Based on MEK sources inside Iran Mojahedin.eng reported on the teachers’ protests that have occurred since mid-January of 2019. The following is a summary of their report. “The unconditioned release of all imprisoned teachers and the closure of their judicial files. Teachers are continuing their nationwide strike on this 2nd day, demanding the release of their arrested colleagues & protesting poor living conditions. Iranian teachers held three nationwide strikes last year, in which they refused to enter their classrooms. They made many of the same demands then, and they have repeated those demands in numerous protests before and since. The regime has refused to respond to any of their concerns or address the issues that have been raised. Iran’s teachers are responsible for the future of the country and are asking for better working conditions, better classroom conditions for their students, implementation of agreed-upon changes, the release of imprisoned colleagues, and the right to form labor unions. These are not unreasonable demands, but they have been ignored.